They don’t have the financial resources or ability to access private financing to afford it. Learn more about the Cooperative Energy Futures approach to Community Solar Gardens. Have questions about the solar garden on Shiloh Temple? Check out our FAQ page. 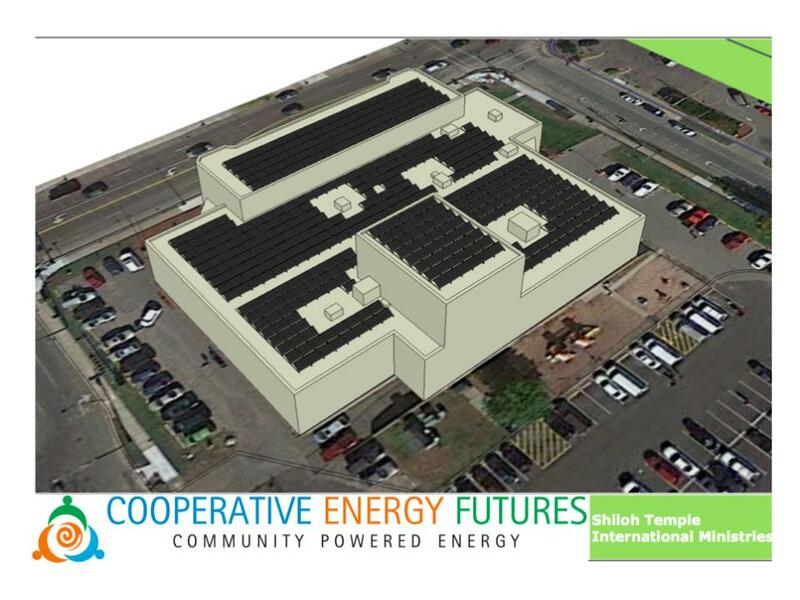 Join the Team: Please contact General Manager Timothy DenHerder-Thomas at timothy@cooperativeenergyfutures.com, (612) 250-1621 if you are interested in joining future planning meetings. Recommend a Host Site: If you know a potential location interested in serving as a host site of a community solar array, you can send a recommendation to Solar Site Assessor Bruce Konewko at bruce@cooperativeenergyfutures.com, (612) 568-2334. Please include your name, contact information, the specific address (street, city, state, zip) of the site you are recommending, and a sentence or two about your connection to the site and its owner.